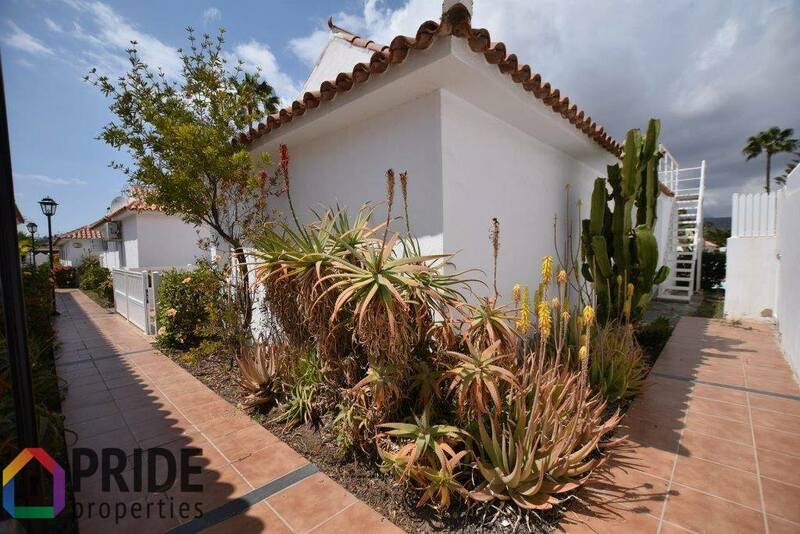 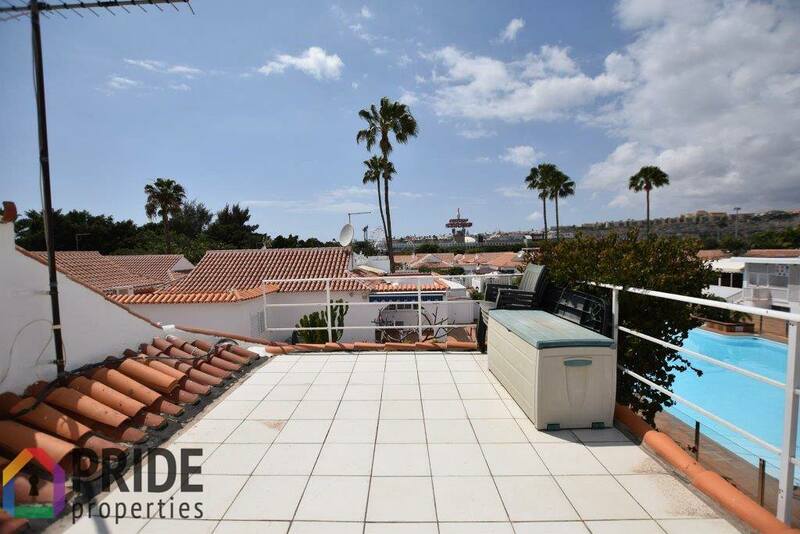 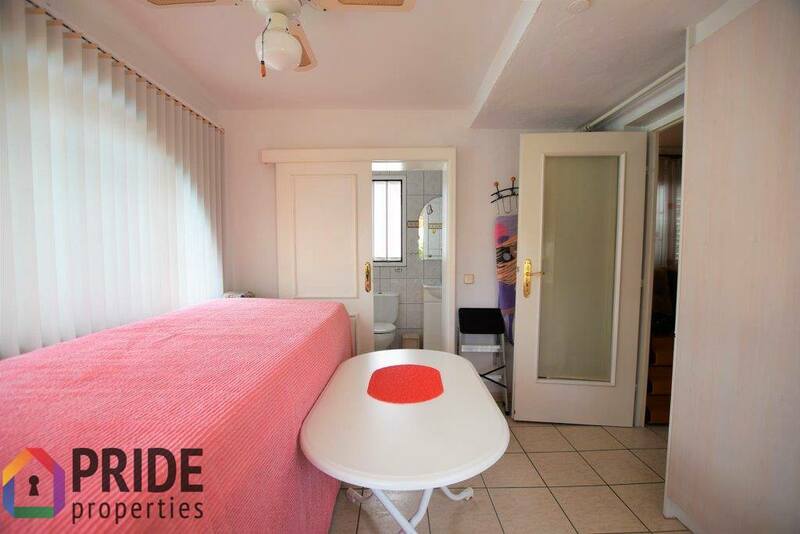 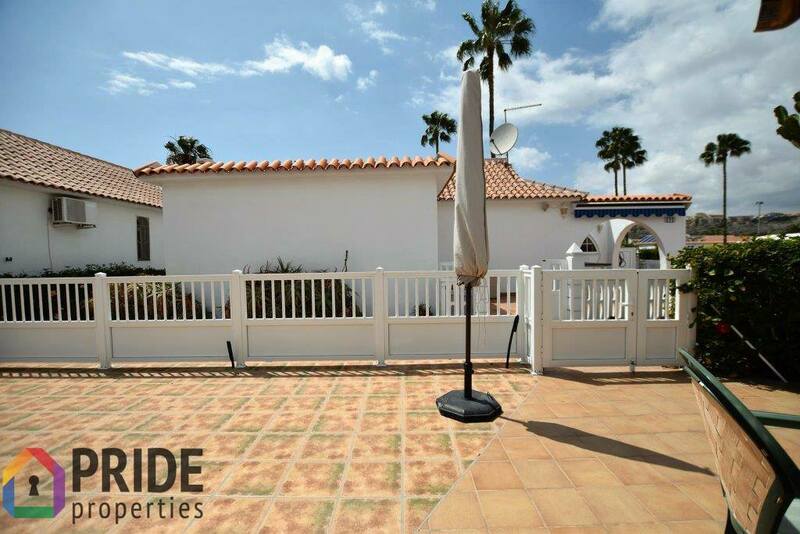 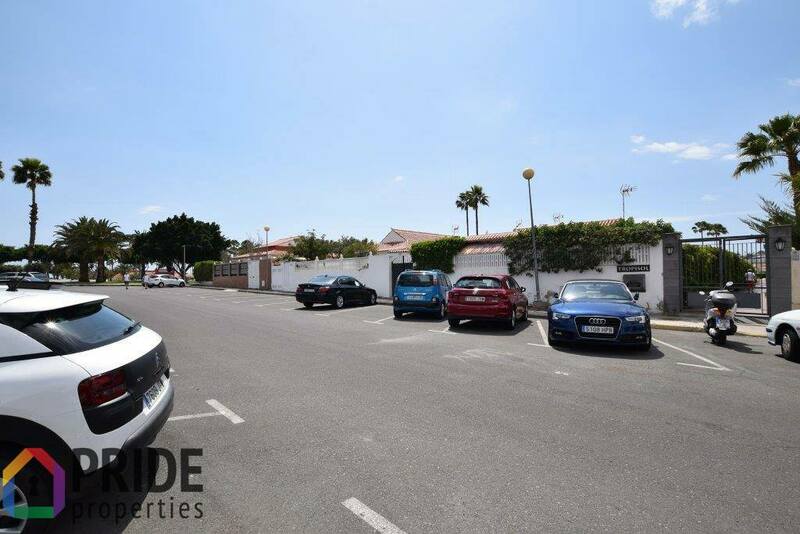 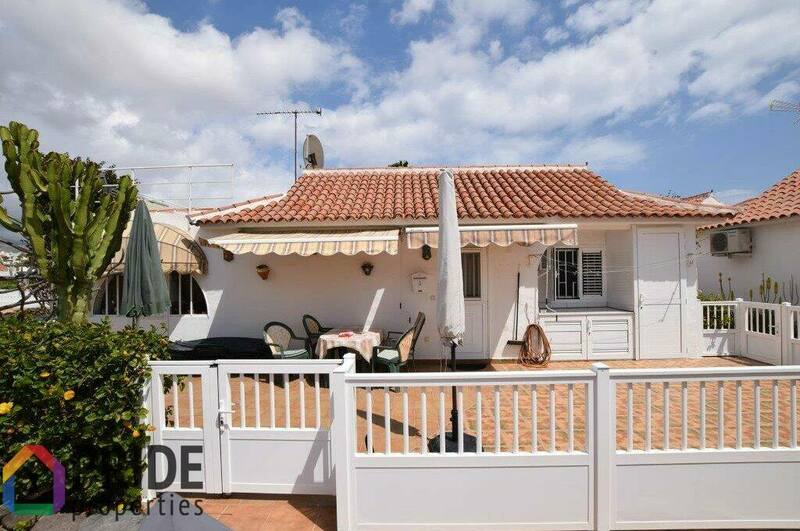 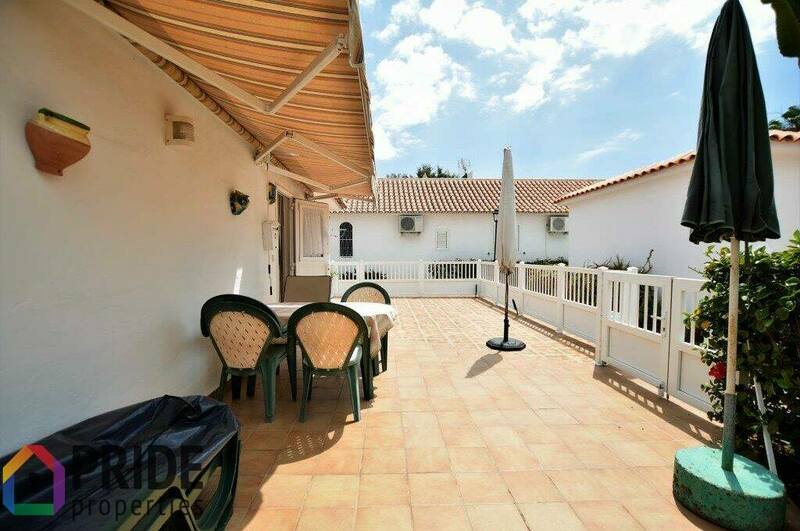 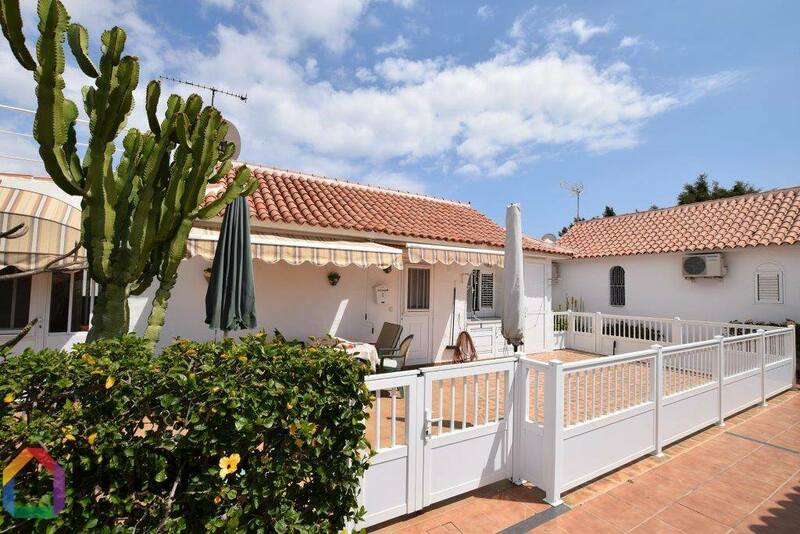 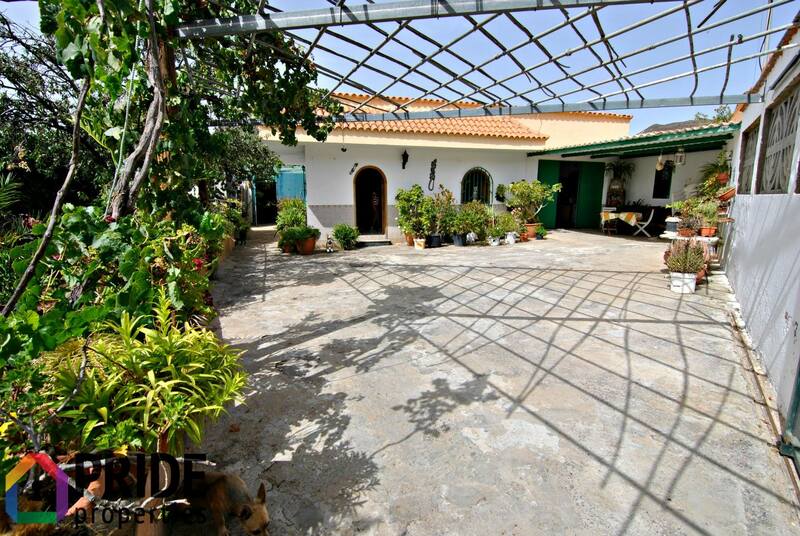 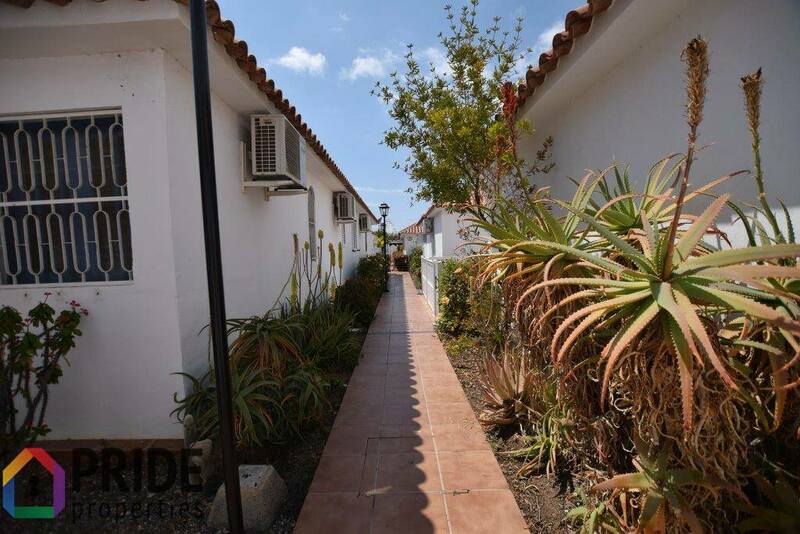 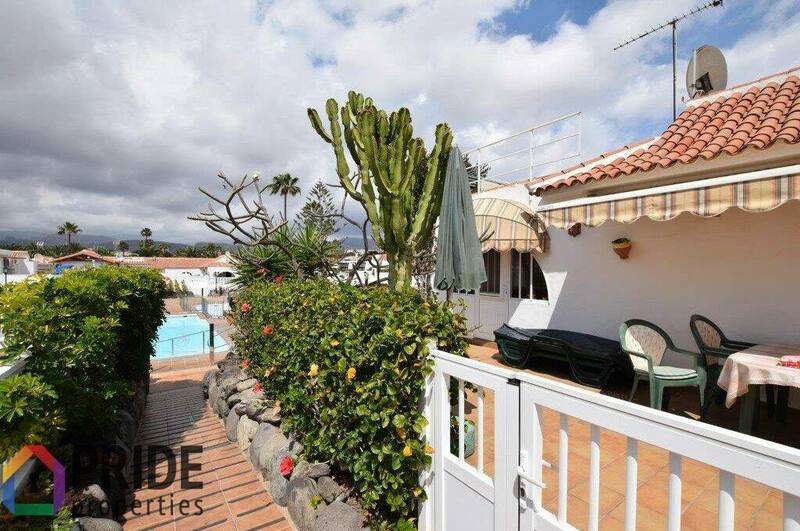 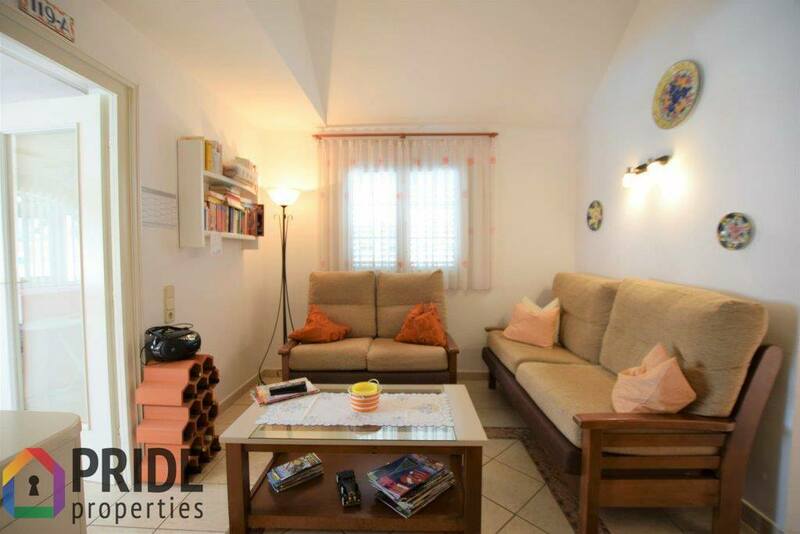 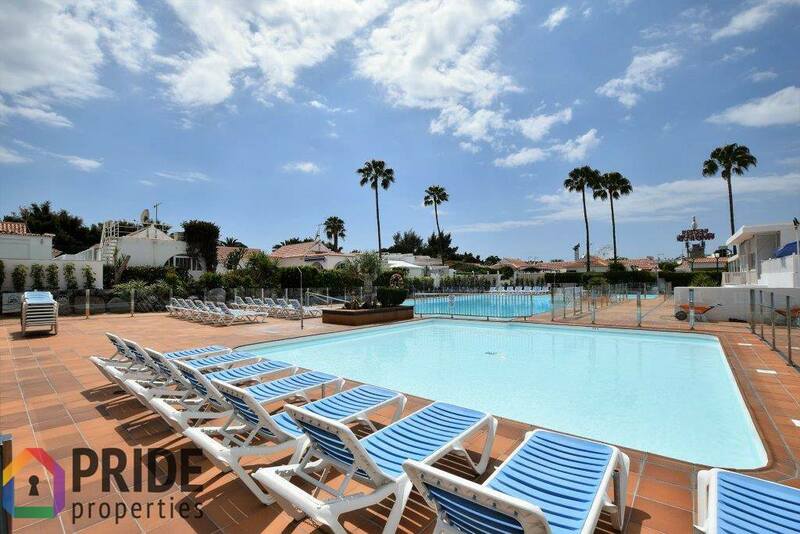 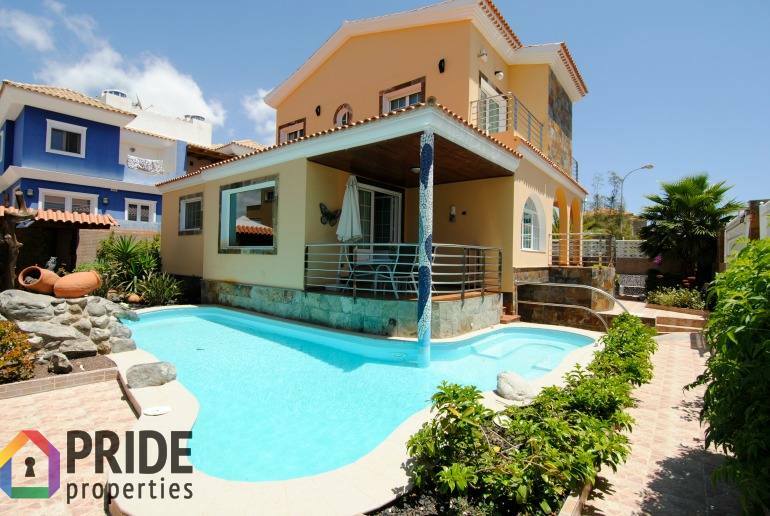 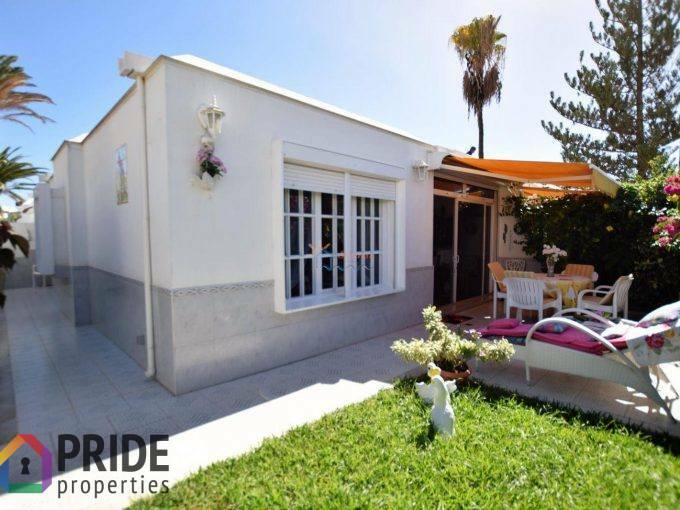 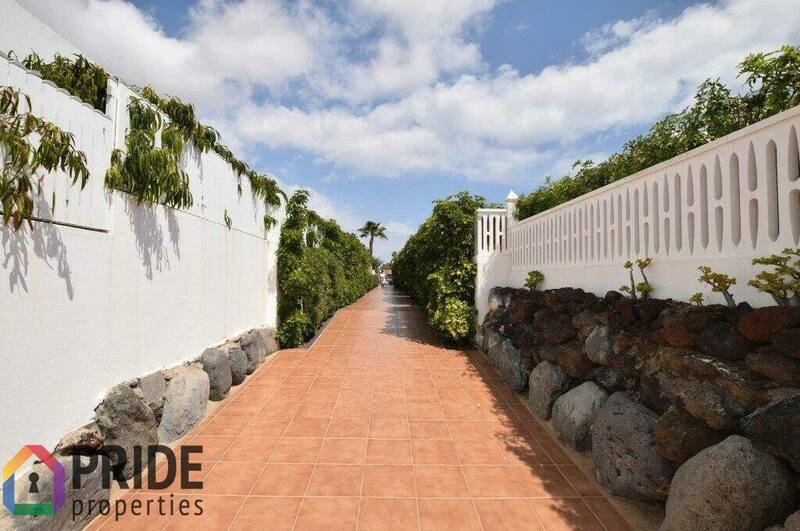 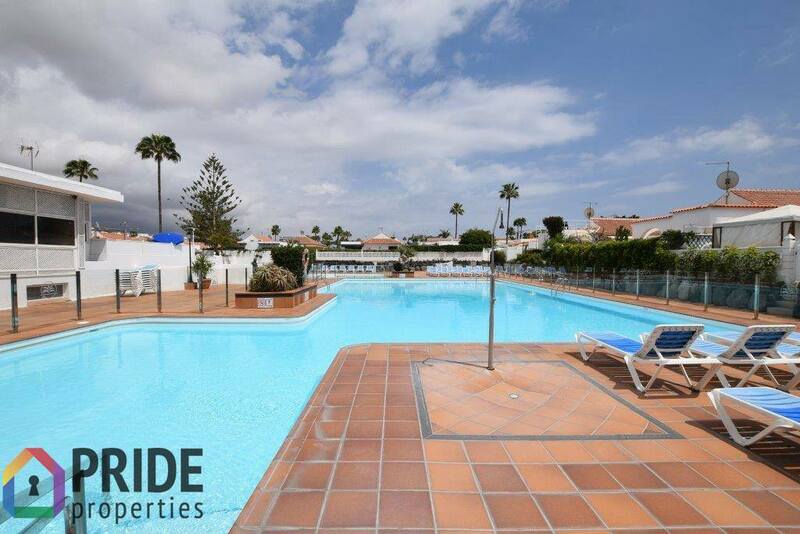 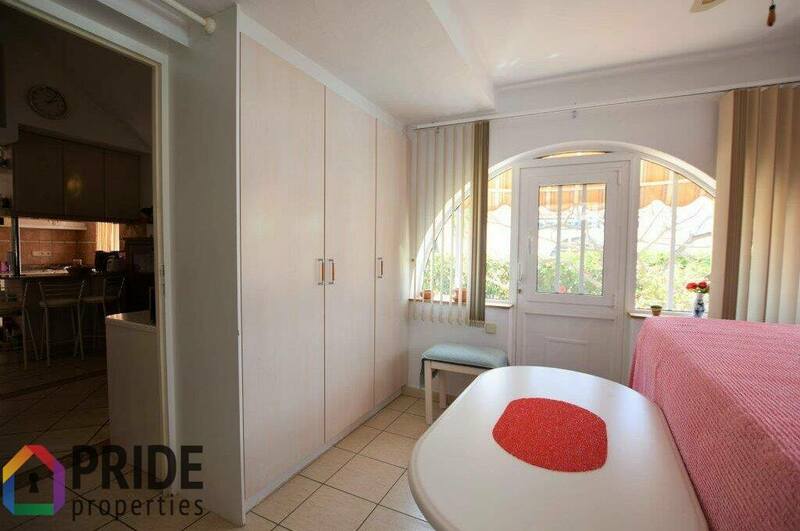 Excellent free standing bungalow, with 82m2 of garden, situated in a very well maintained complex, free from touristic exploitation, in Maspalomas. 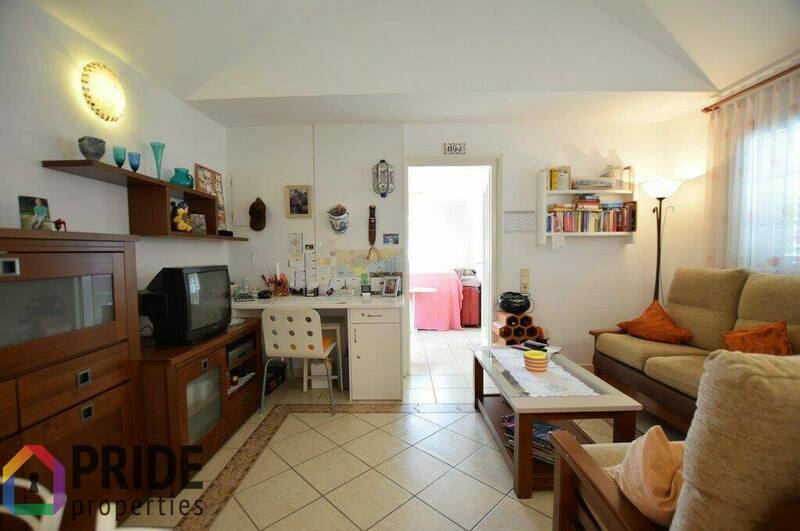 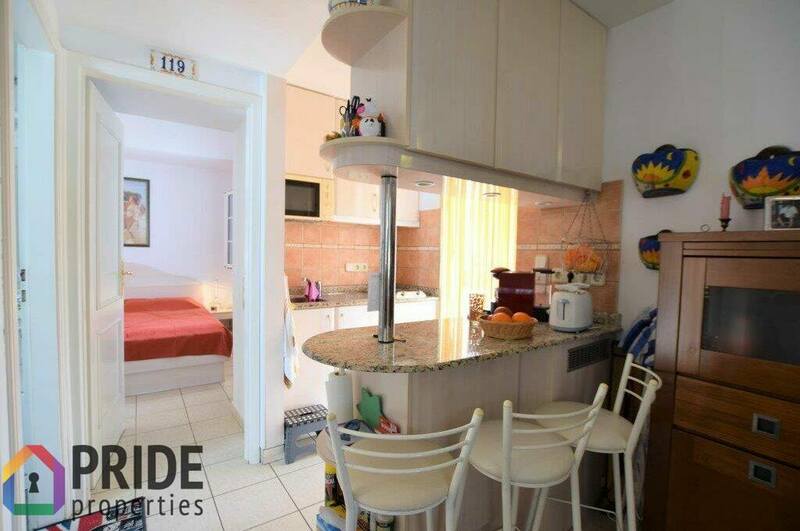 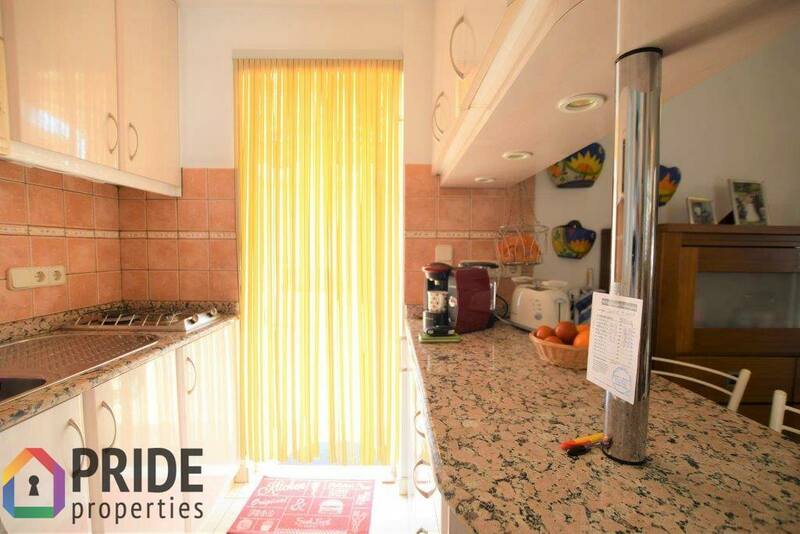 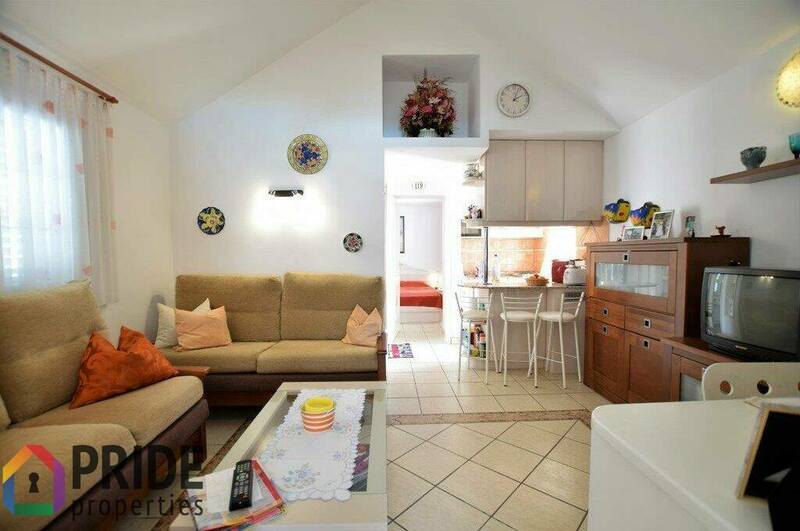 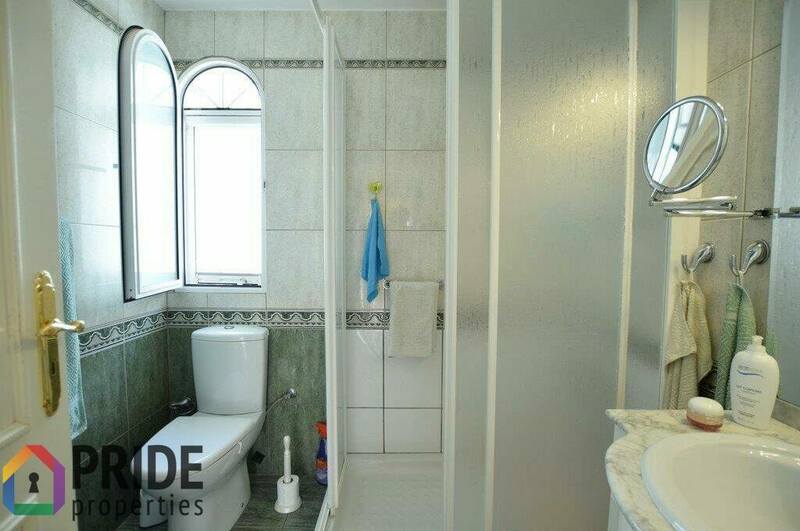 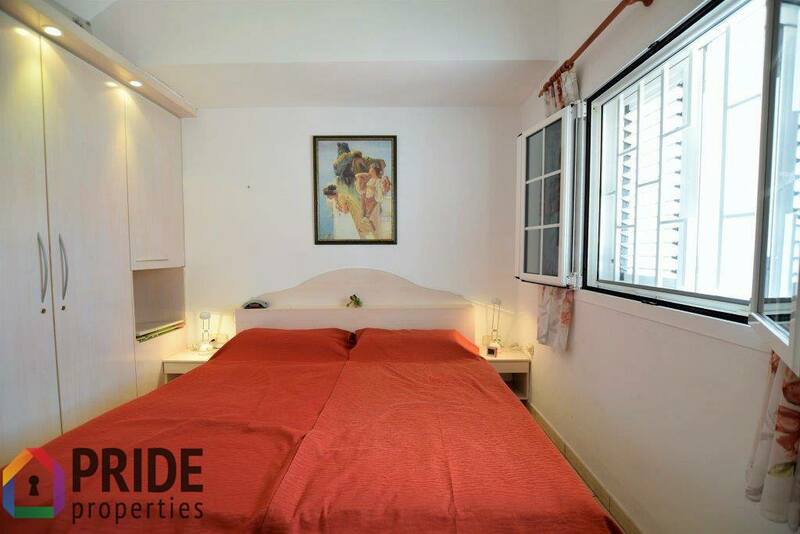 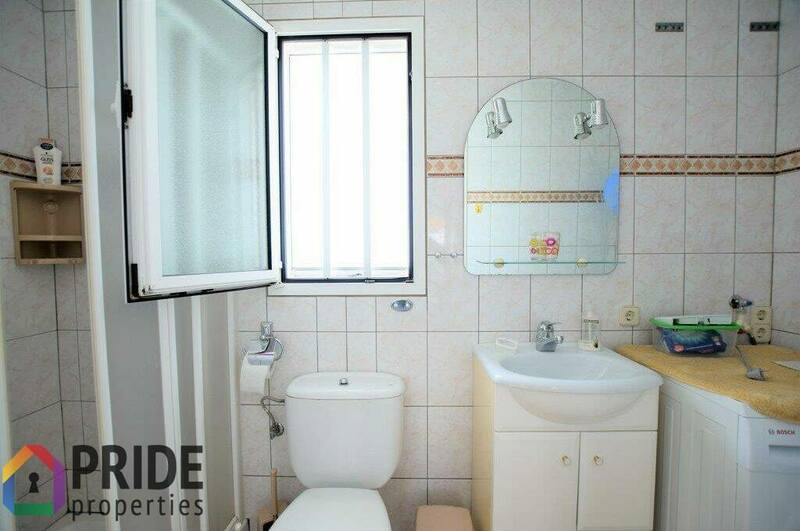 The property counts 2 bedrooms, 2 bathrooms and a living room with an american style kitchen. 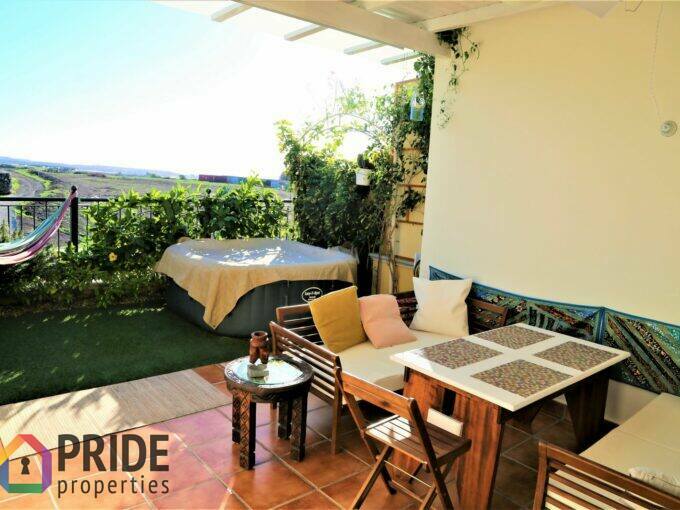 From the terrace all around the bungalow or from the private roof terrace you can enjoy a magnificent view of the Gran Canaria mountains. 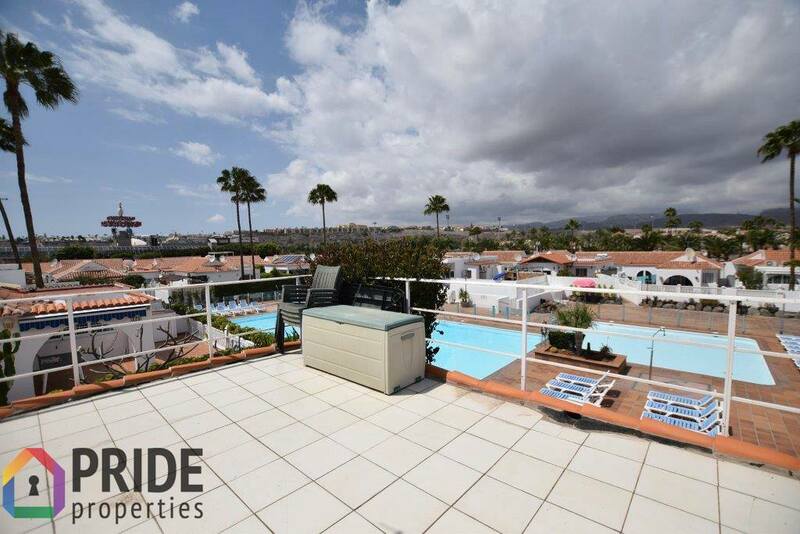 On top of this you can enjoy a nice communal swimming pool and there is ample public parking in front of the complex. 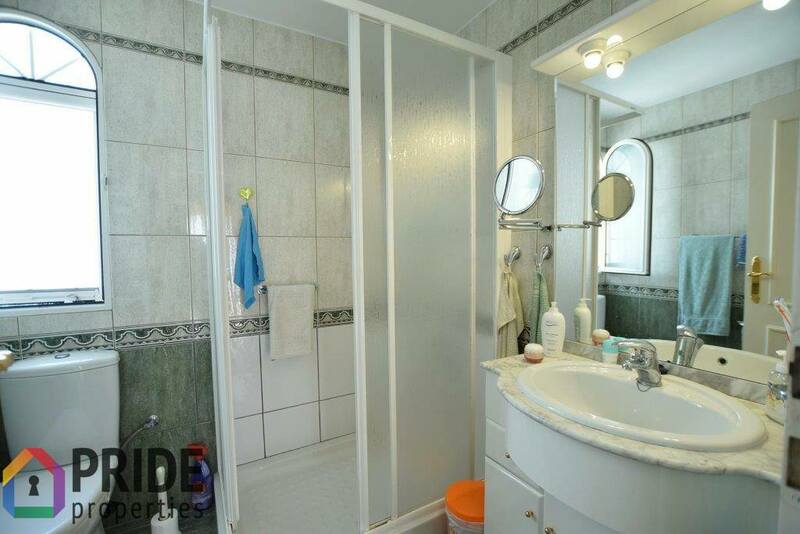 The community fees of 71 €/month are quite low.